Looking for supplies for your fish? If you need supplies for your scaly friend, we can provide food (dry and frozen), aquariums, filters, air pumps, gravel, ornaments, heaters, and water treatment products. Our selection in store is limited, however we can special order in all types of products and would be happy to help if we can! We have a fish tank in the store purely for your entertainment that has an interesting assortment of small community fish. Come in and check it out! Trying to decide on a first fishy? 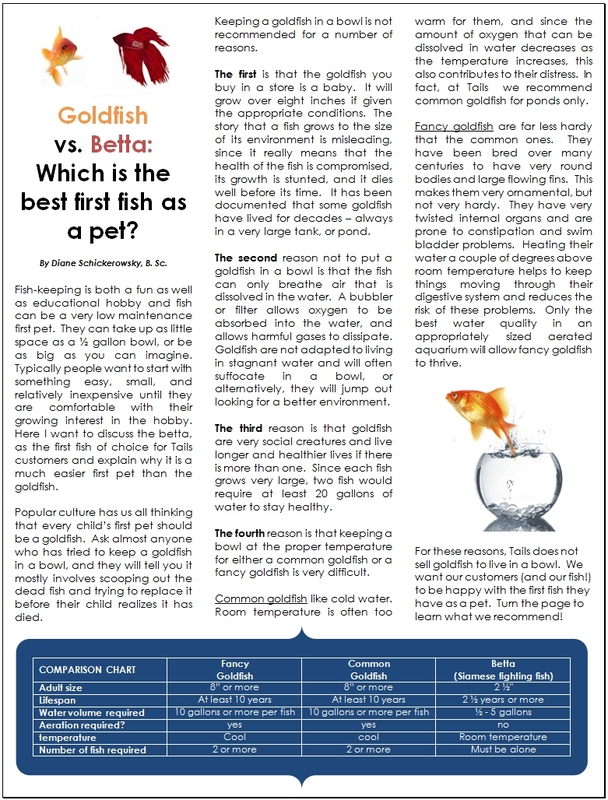 Check out this article we wrote on the differences between goldfish and bettas.